About Photic-Photic Electronics Co., Ltd.
Photic Electronics Co., Ltd. was founded in 1999 and is one of leading Vehicle Safety Vision System manufacturers in Asia. The core members formed up since 1993, have been dedicated to research and develop the automotive opto-electronics products and digital signal process since then. 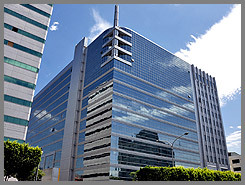 In addition to innovation of products and techniques, Photic has devoted to find solutions for integrating vehicle safety vision and multimedia vision systems. With years of experience and high quality in products, Photic gained high praise and reliance from customers all over the world and has a number of customers working with us now, such as TATA motors, China Motors, Denso, Toyota and Mitsubishi. 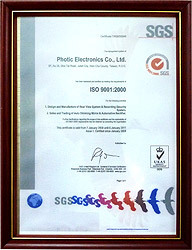 Besides, we have passed ISO 9001:2008 certification, and TS169494 is also on the way now. To keep up with the trend of vehicle industry in global market and conform to the need of diversification and customization, Photic has established branches in North America and China to provide customers fast real-time information and technical support always. 2015 Photic Electronics Co., Ltd. AllRight Reserved.